Anthea Montessori is the brain child of Mrs. Chitra Raghunathan (Suchi) and Mrs. Anupama Rao (Anu). 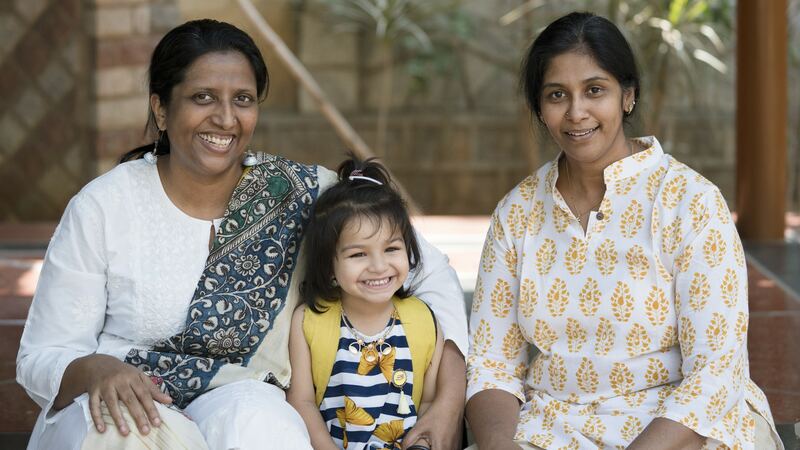 While Suchi and Anu come from diverse backgrounds, one of the main factors that binds them is their passionate belief in the Montessori philosophy. Having seen the positive change in their own Montessori educated children, they have vowed to spread the philosophy. They truly believe what Dr. Montessori said: “Education is an aid to life”. The Montessori philosophy emphasizes that education should go far beyond the mere acquisition of knowledge. It should be a practical aid to life. It should be lifelong learning that changes the life of the individual. Both of them very strongly agree with the Montessori pedagogy. They have experienced it first hand while working with children from various backgrounds and with various temperaments. Suchi and Anu are more than convinced that the time has come to spread the positivity. Suchi and Anu realized that they wanted to do a lot more for the children and “working for someone” did not give them the freedom to do so. This was one of the reasons they decided to take the plunge and start a school on their own. They want Anthea to be a “true Montessori” in every sense of the word. Their dream is to make the Montessori system a mainstream system of education rather than an alternate.